Bacon, truffles, and foie gras are involved. Chef Ludo Lefebvre has had a lot of fun exploring culinary traditions from different countries that are part of his family DNA lately—after taking a 23andMe test (the company sponsors this series), he discovered that, in addition to being French, he's also Belgian, British, Italian, and German. 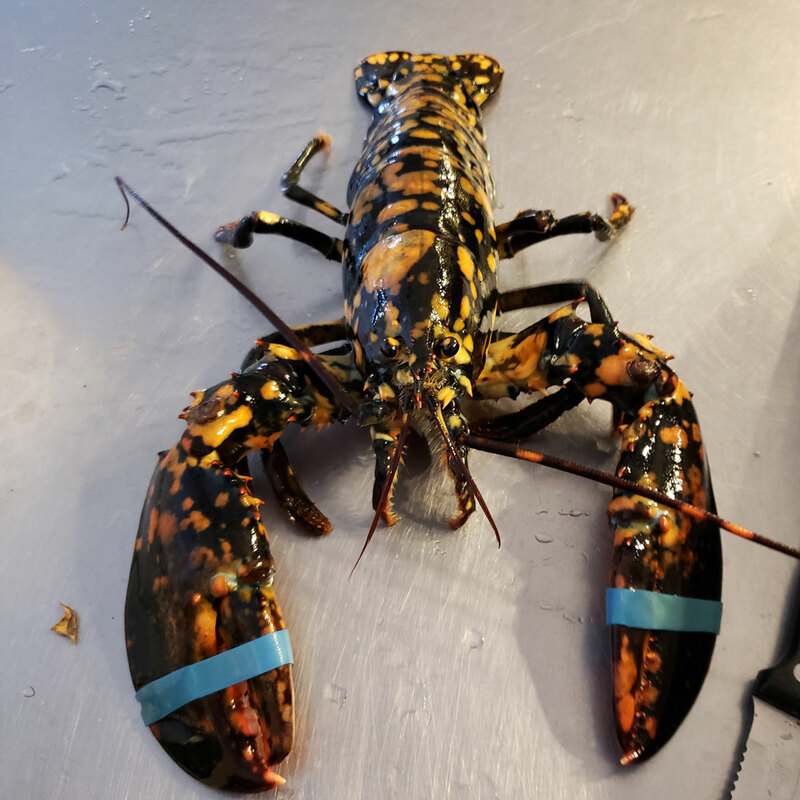 But in this week's installment of Ludo à la Maison, Lefebvre returns to his homeland to demonstrate how to make a classic, capital-F Fancy, French dish: lobster tournedo. The chef gets straight to the point. "We spend a lot of money in France for food," he says. "Everything fancy that makes sense with the lobster is in this dish." That means truffles, foie gras, crème fraîche, and red port. "This dish for me is really from the heart," he continues. "I always worked in the fancy restaurant in France...I grew up with lobster, I grew up with foie gras, I grew up with truffles." Rich ingredients? Warm, fuzzy memories? It sounds like, for Lefebvre, lobster tournedo is the ultimate comfort food (did we mention the whole thing is covered in bacon?). He starts by blanching and shelling lobster tails (leaving them medium rare, because he's going to cook them again). Then—and this is a fun trick—he puts the discarded shells in a cast iron pan with some olive oil, and pops them in the oven to make lobster oil (if you want to do the same, you should start the day before, he later notes—this is just step one in the lobster-oil-making process). The tails then get rolled into rounds ("just like a little steak") and wrapped in bacon slices. "It is very special, very unique, very frou-frou French," Lefebvre says of the dish. "French cooking is luxury." Onto the sauce! The chef begins with some red port, chicken stock, and sliced truffles. "You want to impress somebody at home, just shave some black truffles onto the dish," he notes. Foie gras and crème fraîche are then whisked in, right before the lobster tournedos are seared in lobster oil and the sauce gets a whirl in the blender with some butter. To see how the whole thing comes together—and for more details on that homemade lobster oil—check out the video above.